Fletcher European Containers supply a range of plastic wheelie bins and waste refuse containers suitable for use as household wheelie bins as well as commercial wheelie bins. 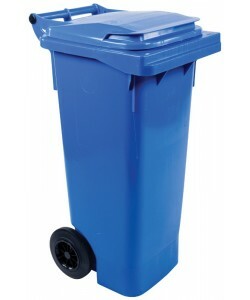 From small 80 litre wheelie bins, ideal for households, up to 1100 litre wheelie bins with either flat top or roll-top lids perfect for offices, warehouses, factories or multi-tenanted buildings. 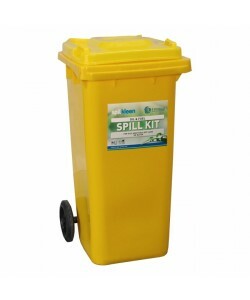 Each size of wheelie bin is available in a variety of different colours allowing you to select the right waste bin to suit your individual requirements. Produced from high density polyethylene plastic our wheelie bin range offer efficient waste collection recepticles that resist cracking, bending, denting and weathering. Solid rubber tyres are non-marking and durable and each and every component is corrosion resistant, providing a long lasting and reliable wheelie bin. 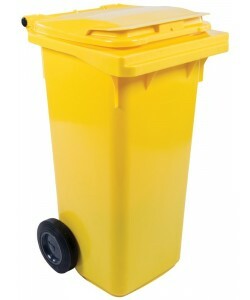 Perfect for little households or small offices, the CR80GB is an 80 litre wheelie bin that is lightweight and easily handled. 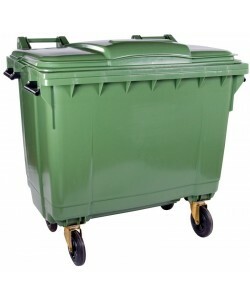 Weighing up to only 40kg when full these 80 litre wheelie bins are and ideal choice for small businesses or homes that accrue very little waste, or people that simply aren't able to handle heavier weights. 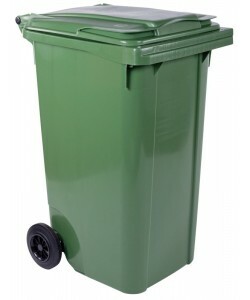 Our CR240GB is a 240 litre capacity wheelie bin that is commonly used for household as well as commercial waste collection. 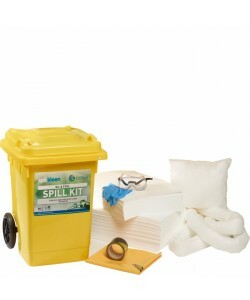 Popular with councils the 240 litre wheelie bins are issued to the majority of households throughout the UK. 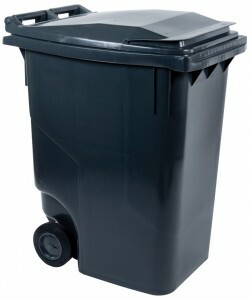 Engineered for hassle-free use this model of wheelie bin is easily cleaned due its smooth internal surfaces and rounded corners. The CR240GB wheelie bins are designed to hold up to 96kg of waste and it's ground-hugging base offers maximum stability when stationery and whilst being manoeuvred. Offering medium to large businesses, offices or multi-tenantable premises a sufficient depository for waste and or recyclables the CR660GB wheelie bin offers a 660 litre capacity waste bin that can hold up to 270kg of waste. Housed on four wheels for increased stability the CR660GB is easily handled and manoeuvred and can be picked up by standard lifts and tippers. 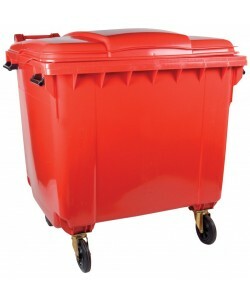 Equipped with high strength trunnions and a hard wearing flip top lid, the 660 litre wheelie bins can be modified to include a drop down front door if required. 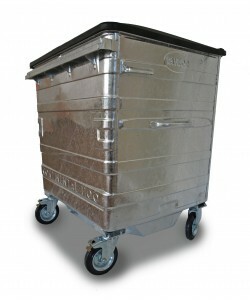 The largest of our range of wheelie bins, the CR1100GB can be supplied with either a flat top or a roll top lid. Hard wearing and weather resistant, these large waste bins are designed for factories, warehouses, production facilities or businesses that generate alot of waste. Available in a wide selection of colours our super strong and incredibly durable 1100 litre wheelie bins can be easily handled and offer up to 450kg worth of waste collection and storage.